This is it. We're making a movie! Now the only question is: how big can we make it? We need your help! Please allow me the pleasure of introducing myself, my name is Alphonso Irving also known as Maxamillion , author of the best selling urban novel SCRILLA "THE ROOT OF ALL EVIL." 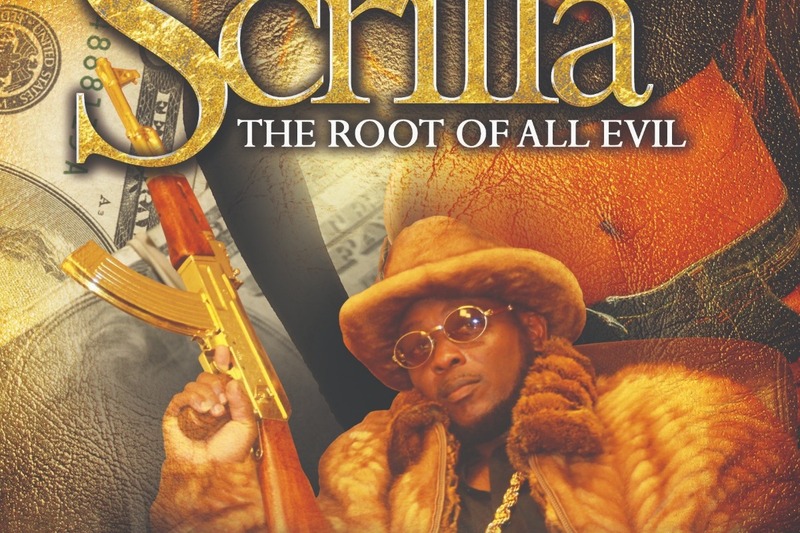 I'm reaching out near and far from my hood to your hood world wide in hopes that YOU, will support me with the making of my feature film SCRILLA "THE ROOT OF ALL EVIL." In 2013 Hollyhood Publisher’s released its debut novel titled, Hood Rich “In God We Trust” to rave reviews. The publishing company’s novels are a catalyst to familiarize our reading audience with true to life urban stories rooted in the black experience. Our company’s main objective is to deliver reader’s five star stories that will enable us to take our profits from book sales and expand our novels into independent urban movies produce by our production company Jack Out the Box. Today we are proud to announce that our first movie Scrilla “The Root of All Evil” a cautionary urban story based on our sophomore novel release is now in preproduction. In addition, to novels and movies we have also ventured into urban fashion with Amaru Apparel. Our Motto is, “The World Is Ours. With our sights set on establishing a true independent Black own media empire, our vision is to launch more corporate ventures and turn the Hollyhood brand into a lifestyle for millions. “I’m out here ten toes down in the streets, mom and pop hood restaurants, barbershops, beauty salons, car washes, trap spots. City to city and state to state pushin’ these books, like I use to move weight,” declared Maxamillion. Fans and supporters can look forward to great works from Hollyhood Publishers and Jack Out The Box Productions in 2019. Furthermore, it brings me great pleasure to share with my supporters that I've already invested a considerable amount of my own money into laying the foundation for the movie. The short film or proof of concept have already been shot and entered into into several 2019 film festivals. Ultimately, the biggest benefits that the 3-week shoot provides (A) better work hours, (B) More Takes, (C) Better Acting Performances, (D) Better Lighting, (E) more Expansive Story and More Time during the post-production process for Edit, ADR, Foley, Music & Mix… End Product Benefit… “A much better movie”. $0,000 (SCRIPT): The script was written by yours truly himself. As a result I've save an estimated $5,000 by not having to hire a screenplay writer. $2,000-$3,000 (PICKUPS/RE-SHOOTS): You always have to go back for a day or two and re-shoot. Budget for it. $8,000-$11,000 (POST-PRODUCTION): Lab Work, Editors, Audio Post, ADR, Foley, Music, etc. $3,000-$5,000 (PUBLICITY/FESTIVALS): No private screenings. Premiere at a Tier 1 Global Film Festival. $3,000-???? (MURPHYS LAW): There is always going to be problems that $100 big face hundreds are needed to handle. With that said, I've put in the ground work and laid a solid foundation , I was taught that BEGGING AIN'T NO HUSTLE and a "EVEN SWAP IS NO SWINDLE." So, you can also go over to amazon and also show support by purchasing my novels titled Hood Rich "In God We Trust" and Scrilla "The Root Of All Evil." $1.00 -$9.00 I'll GIVE YOU A SHOUT OUT ON MY TWITTER, INSTAGRAM AND FACEBOOK! COPPER :$20.00 -39.00 YOUR CHOICE OF AN AUTOGRAPH PAPERBACK COPY OF MY NOVEL SCRILLA OR HOOD RICH. HELP ME , HELP MYSELF ......TEAM WORK MAKES THE DREAM WORK! A drug dealer trying to find an exit out the business soon discovers that the love of Scrilla (Money) is the root of all evil when his childhood partner in crime betrays him to take over his drug empire. AUTOGRAPH COPY OF MY NOVEL!